More than a century after the Norman Conquest, England remains a colony of foreign warlords. The dissolute Prince John plots to seize his brother's crown, his barons terrorize the country, and the mysterious outlaw Robin Hood haunts the ancient greenwood. The secret return of King Richard and the disinherited Saxon knight, Ivanhoe, heralds the start of a splendid and tumultuous romance, featuring the tournament at Ashby-de-la-Zouche, the siege of Torquilstone, and the clash of wills between the wicked Templar Bois-Guilbert and the sublime Jewess Rebecca. 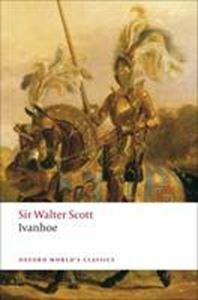 In Ivanhoe Scott fashioned an imperial myth of national cultural identity that has shaped the popular imagination ever since its first appearance at the end of 1819. The most famous of Scottish novelists drew on the conventions of Gothic fiction, including its risky sexual and racial themes, to explore the violent origins and limits of English nationality. This edition uses the 1830 Magnum Opus text, corrected against the Interleaved Set, and incorporates readings from Scott's manuscript. The introduction examines the originality and cultural importance of Ivanhoe, and draws on current work by historians and cultural critics.